Baked Butternut Squash is an incredibly healthy and easy vegetable side dish. 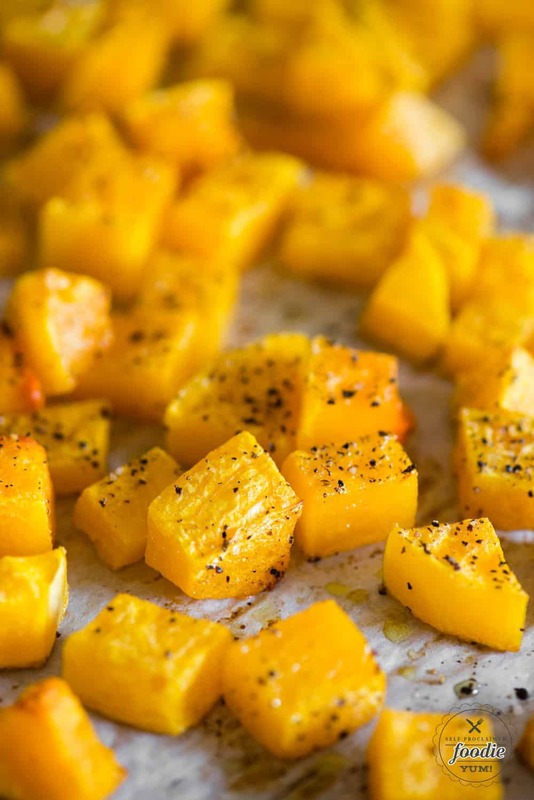 Roasted to perfection, this flavorful squash is delicious! I’m not even a huge fan of butternut squash, but for some reason I couldn’t get enough! I can’t even begin to tell you how much I loved this Baked Butternut Squash. It was ravioli making day and I wanted to make some of my homemade Butternut Squash Ravioli with Brown Butter Sage Sauce. I never really considered butternut squash a particularly favorite vegetable of mine. For whatever reason, as soon as I took this crispy-on-the-outside, buttery-smooth-and-creamy-on-the-inside butternut squash out of the oven, I couldn’t stop eating it. Now, it’s been over a week since I made this oven roasted butternut squash, and I can’t kick this craving. I’m going back to the store today to bake another one and I don’t plan on sharing it with the family! 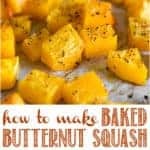 How do you prepare and cook butternut squash? First, you need to peel the squash. If you’ve never peeled a winter squash and are wondering how to peel butternut squash, it couldn’t be easier. 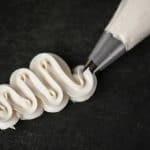 Just a regular vegetable peeler will do the trick, and a high quality vegetable peeler makes it even easier. Next you’ll want to slice your squash in half lengthwise. I do this by inserting a large knife just below the stem and rocking back and forth to cut around the squash. Then I take the two halves that are still connected by the stem and pull them apart. 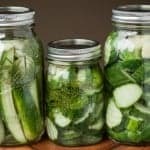 If your squash is particularly large, I recommend cutting the squash in half separarting the skinny part from the wide part and then you can cut those pieces in half lengthwise. Remove the seeds and the pulp. This is no different than when you carve a pumpkin. My chickens and goats are particularly fond of the seeds and pulp as well as the skin, so nothing goes to waste in my house! Set each piece flat side down and then cut into cubes. Be sure to make the cubes close in size. I prefer my pieces to be no larger than one inch long on any side. More surface area means more caramelization of the outside. Toss the squash in olive oil with salt and pepper, place on a single layer on a parchment lined baking sheet, and bake to perfection! How long do you bake butternut squash cubes? You can bake butternut squash at any temperature, but different temperatures will give you different results. I find that 400 degrees F is perfect. Less than 400 will require more time and the squash will get a bit more mushy without the browning. Higher than 400 will give you nice browning but the inside might not be as creamy. All ovens are different and it’s not an exact science, but that’s how I make baked butternut squash. Here’s the secret: cook it longer than you think you should. I’ve always taken baked butternut squash out of the oven as soon as it was soft. Keep it in there. Let the moisture continue to cook out. The result will be a perfectly crisp and chewy outside with a warm soft inside. Trust me on this. 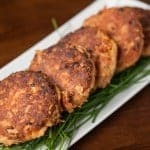 You can easily serve this recipe as-is. It’s the perfect side dish to accompany a nice main dish. You can also store your baked butternut squash in an airtight container in the refrigerator and add it to your salads or your breakfast scrambles. Finally, you can puree the baked squash and use it in a vegetarian lasagna or a soup. So many options! Baked Butternut Squash is an incredibly healthy and easy vegetable side dish. 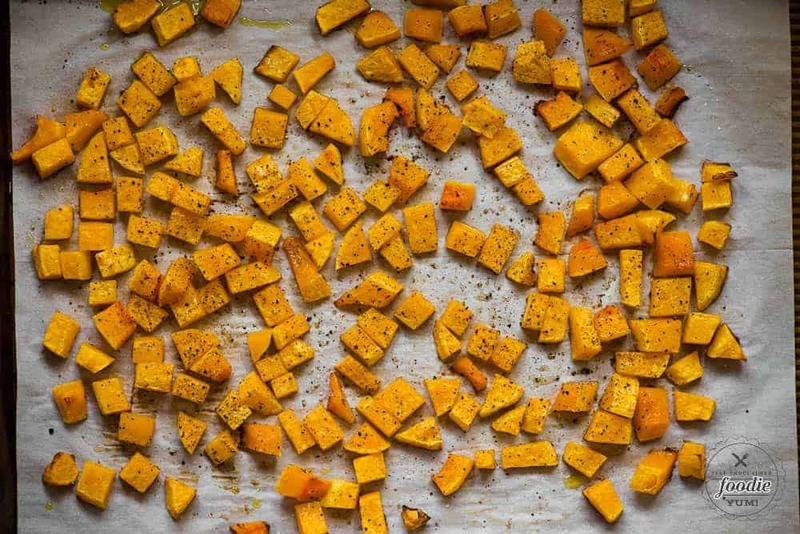 Roasted to perfection, this flavorful squash is delicious! Peel squash. Insert large knife just below stem and cut squash in half lengthwise to split. Scoop out seeds and pulp with spoon and discard or reserve for other use. Cut squash into small pieces. Try to keep the sizes uniform so that they cook evenly. The smaller the pieces, the faster they will cook. Cover the squash with the olive oil and toss to coat. 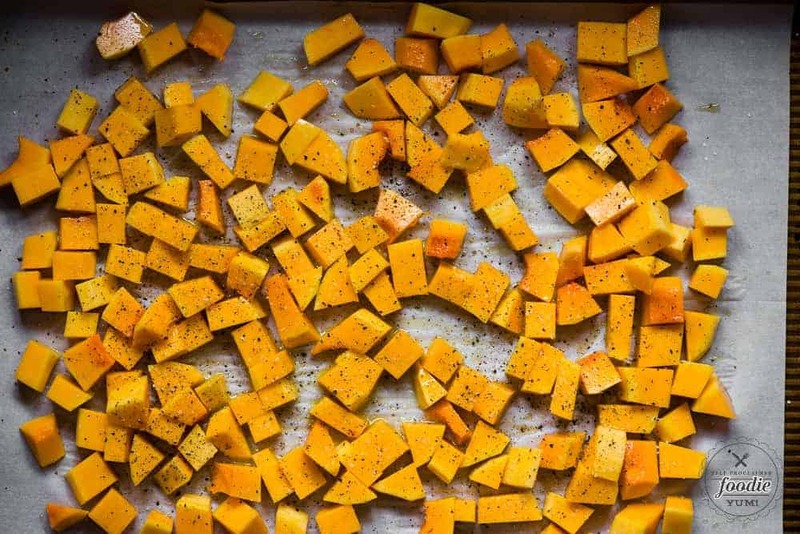 Ideally, each piece of squash will be lightly covered with the oil and you won't have any excess pooling on the parchment paper, so adjust the amount based on the size of your squash. Cover with salt and pepper (more can be added later, if desired). 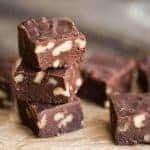 Bake in preheated oven until the outsides are crisp, the insides are super soft and tender, and they smell wonderful, at least 30-40 minutes for small pieces and 40-50 minutes for large. If it still feels mushy and the outside isn't starting to get chewy, keep cooking it! Serve hot as a side dish or refrigerate to add to salads. 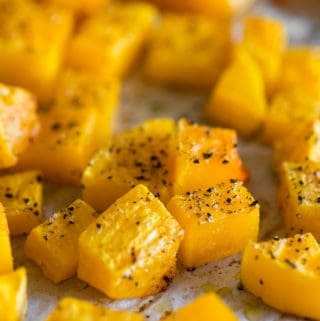 https://www.thespruceeats.com/can-you-eat-squash-seeds-1388462 I love roasted pumpkin seeds. Haven’t tried these but sounds delicious to me.